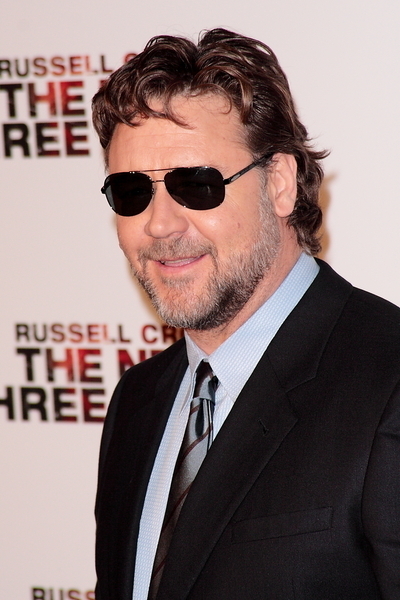 Russell Crowe Pictures: Russell Crowe arrives on the red carpet at "The Next Three Days" movie premiere held at the Directors Guild of America on November 16, 2010 in Los Angeles, California. Life seems perfect for John Brennan until his wife, Lara, is arrested for a gruesome murder she says she didn't commit. Three years into her sentence, John is struggling to hold his family together, raising their son and teaching at college while he pursues every means available to prove her innocence. With the rejection of their final appeal, Lara becomes suicidal and John decides there is only one possible, bearable solution: to break his wife out of prison. Refusing to be deterred by impossible odds or his own inexperience, John devises an elaborate escape plot and plunges into a dangerous and unfamiliar world, ultimately risking everything for the woman he loves. "The Next Three Days" opens in theaters nationwide on November 19.